MPNFL football is underway for 2019 after Rye and Pearcedale kicked off the season with a thriller. The division two season opener saw Rye face off against Pearcedale in difficult conditions at RJ Rowley Reserve on Saturday. Rye got off to a brilliant start in front of their home crowd, skipping away to a two goal lead going into quarter time. The second quarter saw momentum swing Pearcedale’s way, but they could not capitalise. In the windy conditions they kicked 0.5 for the quarter. The Demons put just one behind on the scoreboard in the second quarter, which had Rye 10 points up at half time. As the second half got underway the Demons got back on top. Going into the final quarter, having led all day, they looked comfortable 24 points ahead. The final term saw Pearcedale come alive, running rampant and closing the gap to get within a kick with 90 second to play. With a little over a minute left on the clock, Pearcedale hit the front. They kicked another goal after the siren to add an exclamation point to a brilliant comeback win. The final score read 7.9 (51) to 8.13 (61). Max Gearon was Pearcedale’s best. The opening weekend of the MPNFL season had two matches scheduled across both senior divisions. 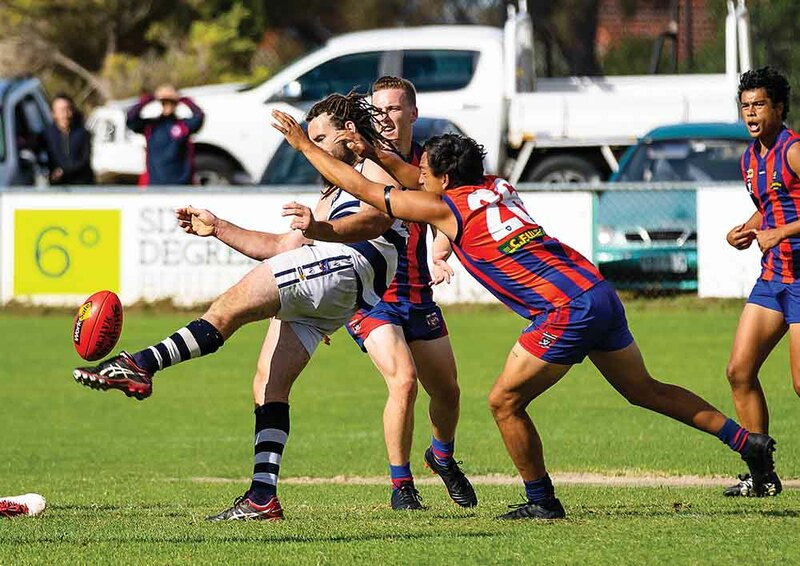 The second clash took place on Sunday, with Devon Meadows taking on Karingal. The match would be the debut of superstar Bulls signing Marc Holt, who lined up at full forward. The former Cranbourne superstar was expected to do big things, and he delivered in his debut. Despite more difficult conditions, the match was expected to be high scoring. In order to battle Holt in front of goal, Devon Meadows superstar Michael Theodoridis would have to kick a bag as well. Things started well for Devon Meadows, who took a 21 point lead into half time. A five goals to none third term proved the difference though, as Karingal ran over the top of their opponents and claimed the victory 10.12 (72) to 12.14 (86). Holt kicked four majors in a successful debut for his new side. Next Saturday Karingal will take on Red Hill in match between two sides expected to contend for the premiership in 2019. Expectations are also high for Langwarrin and Chelsea who will do battle at Lloyd Park. Crib Point host Rye on Saturday, while Pearcedale hosts Devon Meadows and Somerville hosts Seaford. On Sunday Hastings will kick off their season at home against Tyabb. Off the field Pearcedale were the big winners of the week, securing the signature of former Essendon and St Kilda star Brendon Goddard. He will play for the club in a one off match against Chelsea on 18 May. Pearcedale continue their tend of bringing in big names, last year bringing in Drew Petrie for a one off appearance, and the year before signing Barry Hall.